Originally published in 1930, as part of the Cambridge Plain Texts series, this volume contains the text of Ronsard's Abrege de l'art poetique francais, together with a selection of prefaces from editions of his works. The material is presented in French with a short editorial introduction in English. 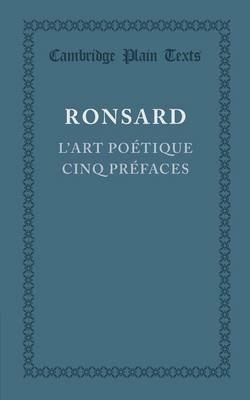 This book will be of value to anyone with an interest in Ronsard and French literature.